The All New HTC One is a foregone conclusion at this point, but that's not stopping leaks from spilling in the days leading up to its March 25 launch. 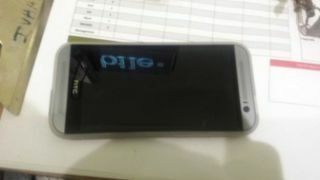 A user over at HardForum spent some one-on-one time and got a little handsy with a test version of the HTC One 2. The person's post seems to have been pulled, though not before a few sites got a hold of the info. Despite a number of to-be-expected bugs - this was an early model, after all - the leaker described the new HTC One as "faster than my Google Edition S4." The front, 4MP camera is "incredible" and "really crisp." The phone sported a dual-rear camera, and the HardForum user described it as "amazing" even though they weren't able to try it out. The 2014 edition it taller and thinner than the 2013 HTC One, too. Aside from an odd, off-color ring around the larger rear camera sensor, the design of the back matches earlier leaked images. We should know all in a few weeks time, so stayed tuned for all the latest - and confirmed specs - for the All New HTC One.